During a brief meeting, we can assess and evaluate your current resume, cover letter, LinkedIn profile and/or portfolio to create documents that will help you meet your employment objectives. The Write Approach can quickly determine how to edit or recreate your documents to maximize your chances of getting noticed by recruiters and hiring managers. Used with client permission, we have three before and after samples to show you how we can take your documents to the next level. 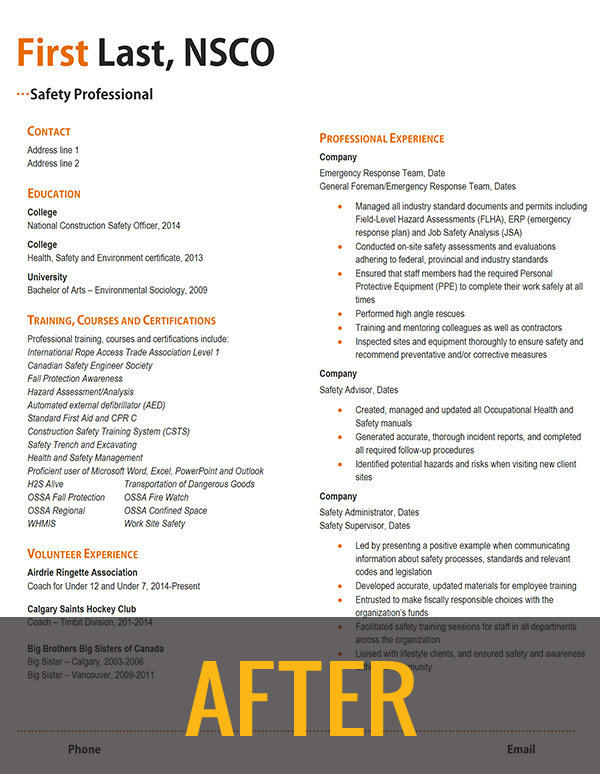 This client approached The Write Approach after searching for a professional safety opportunity for over six months. We quickly determined that this client would benefit from a different layout which focused on our client’s skills. 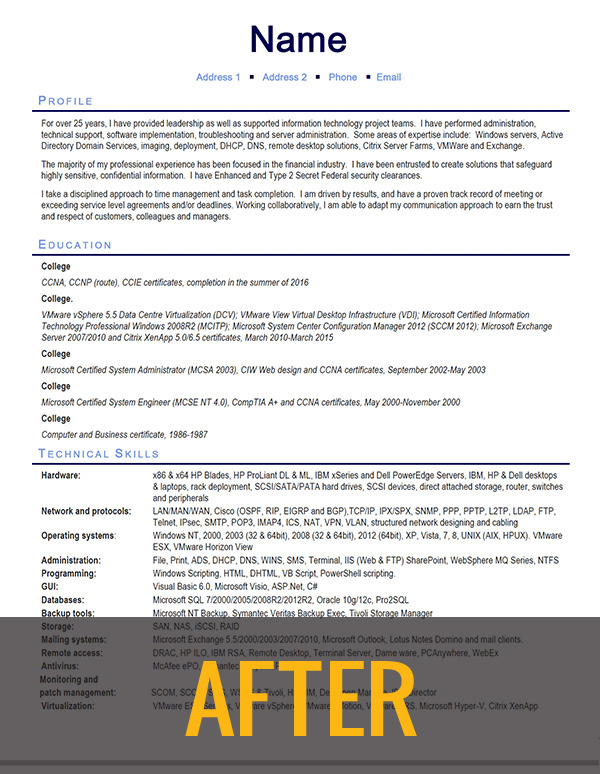 The two column layout made the document easy to read, and placed greater emphasis on this client’s knowledge and training. Our client shared some very positive feedback from hiring managers with us. 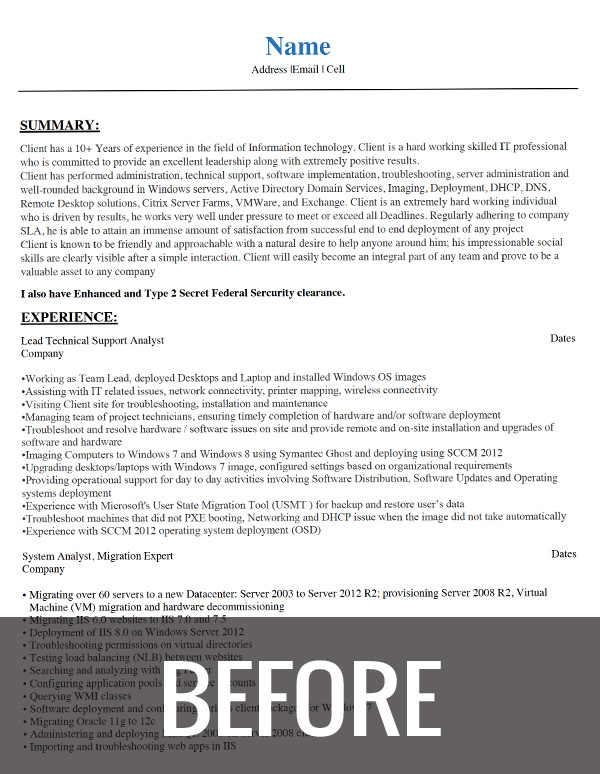 With over two decades in the IT field and a seven page resume, this client knew that their resume needed to be reformatted and condensed. 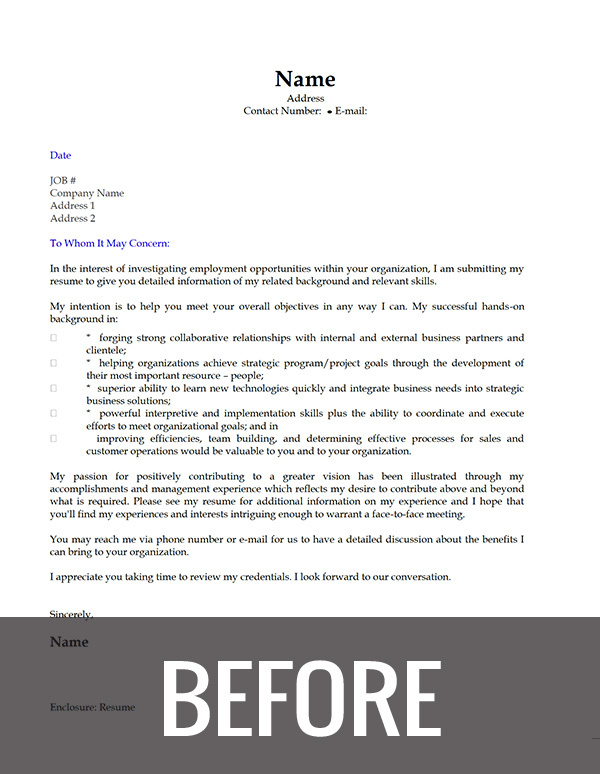 After reviewing the resume, The Write Approach suggested creating two new documents – a resume and a professional portfolio. Our client agreed to this plan, and we constructed a customized two-page layout that was complemented by an 11 page professional portfolio that they could email to an employer as well as bring to an interview. We have also provided an excerpt of the portfolio below. 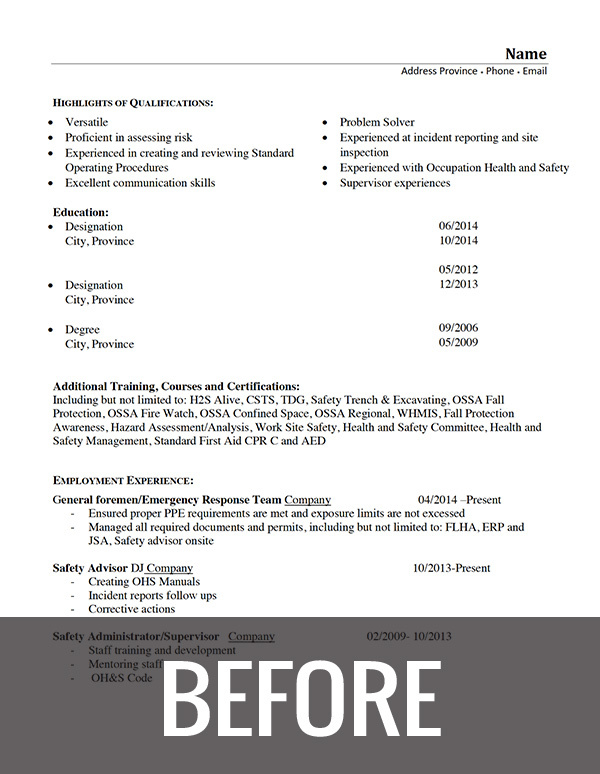 This client was hired less than a month after working with The Write Approach Professional Services. This client was re-entering the workforce as a child and youth worker after working in a different field for five years. They had worked with an agency to create a generic cover letter approximately ten years ago, and feared it was too generic to meet the requirements of employment postings. 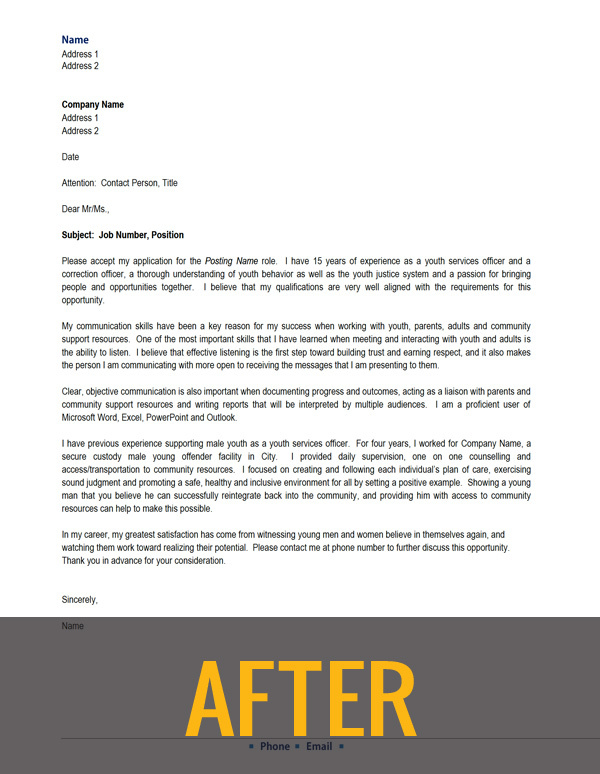 We agreed with our client’s assessment, and recreated a much more specific cover letter that showcased this client’s previous experience working with male and female youth offenders as well as their passion for helping people believe in themselves again. This cover letter has been very well received by two hiring managers.